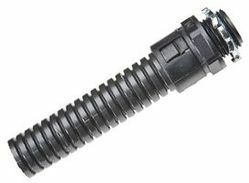 We, Techno flex, are one of the topmost organizations of the industry engrossed in manufacturing, supplying and exporting a broad range of Flexible Conduit, since our inception in the year of 2011. In our optimum quality product range we are offering Flexible Conduits Accessories, Aluminum Flexible conduit and GI Steel Flexible Conduit. These products are manufactured using superior grade basic material in full compliance with the set industry norms and standards at our ultra-modern manufacturing unit. Owing to their excellent finish, superior corrosion resistance and built in flexibility, these products are demanded by the various industries such as construction & building, rail transportation system, Shipping Companies and hazardous manufacturing units. We deals all the products in UAE, UK, USA and ASIA. Our products are manufactured with utmost precision under the assistance of our highly experienced professionals. We procured basic material from the trusted and reliable vendors of the industry. We have appointed a team of qualified personnel to carry out our business operations. To meet the varied demands of our clients, we are manufacturing these products in various technical specifications. Banking on our production capacity, We have been able to fulfill the bulk demands of the provided products. We have a huge client base in the market because of our product range.